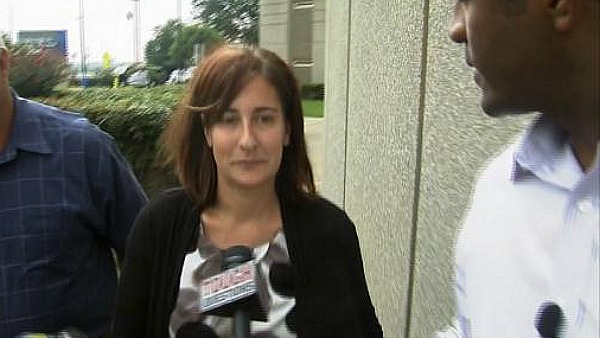 It took Andrea Sneiderman about 45 hours to post bond and walk out of the DeKalb County jail. 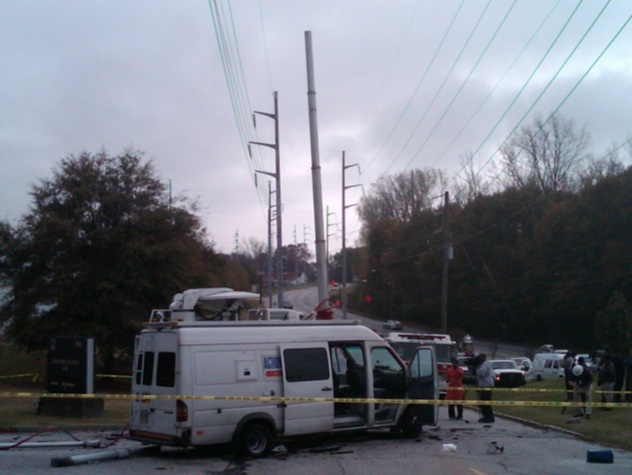 Because she is the Atlanta news media’s favorite murder suspect, the four TV stations devoted, at minimum, some 180+ man-hours to staking out its main entrance from the time a judge granted bond to the moment she left jail. When payoff time came, each station got about 25 seconds of video. That’s the length of time it took her to walk from the jail’s main entrance to a waiting minivan. Jail departures can be a bit awkward, especially when a corps of bored yet fully-caffeinated reporters and photographers is waiting to capture an image of the released inmate. The only thing certain is the location of the exit. What happens next is guesswork. At the DeKalb County jail, most folks exiting the front door use one of two sidewalks that go east toward a public parking lot. The parking lot was the logical place for Mrs. Sneiderman’s ride to await her release. Erego, the cadre of photographers and reporters mostly guessed Mrs. Sneiderman would head toward the parking lot. The question seemed to be: Which of the two sidewalks would she use? The photogs mostly waited between the front door and the parking lot, with a direct view of the jail entrance. Turned out, the bodyguards she hired were pretty clever. One of them went inside to get her. A second one idled a minivan along a curb on Camp Road, away from the parking lot. The strategy flanked the media gauntlet, and shortened Mrs. Sneiderman’s public exposure between the door and the waiting car. I didn’t notice the parked minivan. An elevated berm obscured my view of Camp Rd. And I wasn’t really looking in that direction anyway. 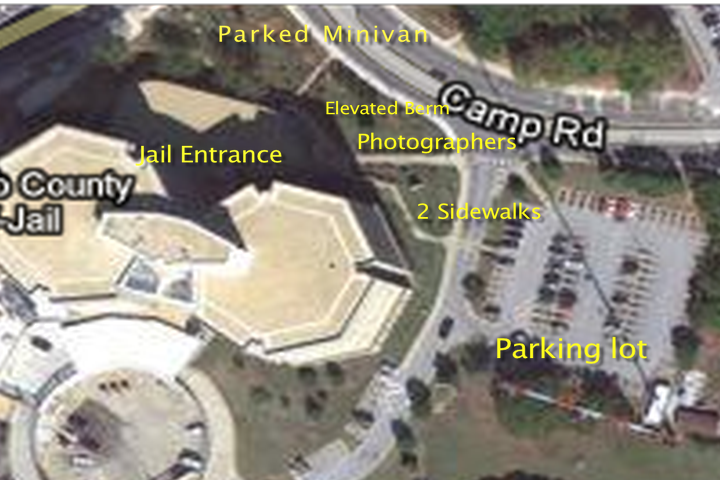 Camp Road is fairly busy, carrying traffic to various DeKalb Co. government facilities behind the jail. Parking isn’t really an option on Camp Road– unless someone is waiting in an idling vehicle. A third sidewalk leads directly from the jail entrance to Camp Rd. When Mrs. Sneiderman exited the jail, she hung an immediate left — due north on the map — away from the two parking lot sidewalks. When that happened, reporters and photographers scrambled north toward the third sidewalk. Some got there more quickly than others. A photog from WGCL got the best shot of Mrs. Sneiderman, who appeared to struggle to keep a straight face in light of the greeting she was getting from her friends in the press. As she exited, she was peppered with questions. Most of us have never been close enough to her, outside of a courtroom setting, to actually question her. Not that it mattered. She didn’t utter a peep, which is consistent with her tight-lipped behavior around news folk. And it was certainly awkward. 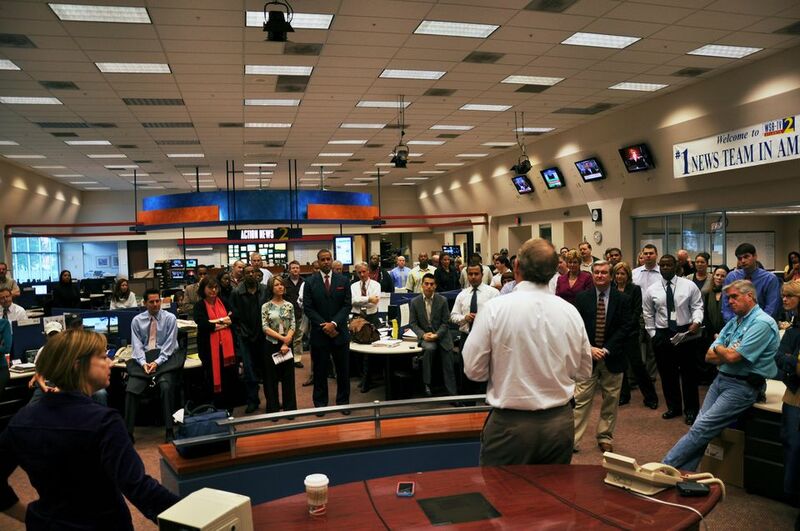 As Mrs. Sneiderman walked forward, the mob of news folk backpedaled. There was a concrete staircase, but there were no spills. Nor were there angry words. She and her bodyguard — and perhaps even the news mob — deserve credit for a somewhat civilized 25 seconds. “Murder suspect Andrea Sneiderman was released from jail today on bond. She declined comment.” There wasn’t much else new to say. But all that effort gave that short line on the news a memorable bit of visual theater. This entry was posted in WGCL, WXIA on August 27, 2012 by live apt fire. This is why the majority of the public just shakes their collective heads at the news media. It is known that she’s tight lipped with media, that she wouldn’t have anything to say, and that a photo op at Dekalb jail is tricky and brief at best. Nothing factual or enlightening came from all of this effort.